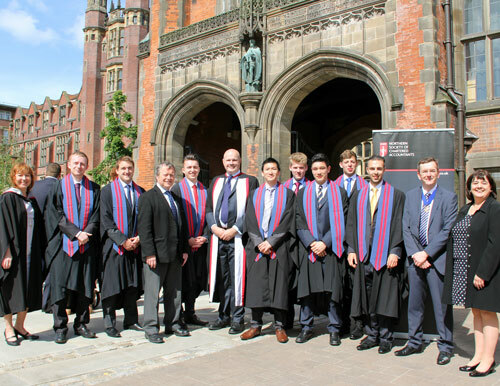 Northern Society of Chartered Accountants (NorSCA) and ICAEW were delighted to share in the success of final year finance and accountancy students who graduated from Newcastle University Business School this July. This included the latest cohort from the Business School’s Graduate Diploma in Finance, Accounting and Business. Some of the successful students who completed Newcastle University Business School’s Graduate Diploma in Finance, Accounting and Business which includes attaining the ICAEW’s CFAB qualification. Over 500 talented students graduated from the Newcastle University Business School in July, and their success was celebrated during its annual undergraduate awards reception. The students attended their graduation ceremony at the prestigious King’s Hall within Newcastle University’s Armstrong Building. Following their formal congregation, the students with their friends and families celebrated in style with a champagne reception and awards presentation. the ICAEW Learning and Professional Development Team prize for best overall performance on the programme. Newcastle University Business School’s Graduate Diploma in Finance, Accounting and Business is a 9 month programme developed in conjunction with the ICAEW and successful students can graduate with both an award from Newcastle University and the ICAEW’s CFAB qualification (Certificate in Finance, Accounting and Business). The programme also includes a bespoke personal and professional skills module, developed with input from the ICAEW and local accountancy firms. This module aims to develop the skills and abilities that students require to be successful in their future careers. The ICAEW Chartered Accountant qualification, the ACA, is one of the most advanced learning and professional development programmes available. It is valued around the world in business, practice and the public sector. More information is available at icaew.com. 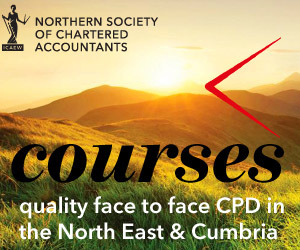 Northern Society of Chartered Accountants (NorSCA) represents 4,000 ICAEW members and ACA students working in business and the finance profession across the North East of England, Teesside, North Yorkshire and Cumbria. We have been assisting businesses in the north of England and producing chartered accountants for over 130 years. More information is available at norsca.co.uk.